Spot On Square continues to drive innovation in modern furnishings with the introduction of the Alto Collection. Influenced by mixed material usage within modern architecture, the Alto Collection features airy translucent panels with encapsulated organic materials to create a visually stunning piece for any room. The gracefully curved chrome legs are specially customized to accentuate the crisp white finish and thoughtfully paired with the playful yet elegant contrast of the colorful translucent panels. 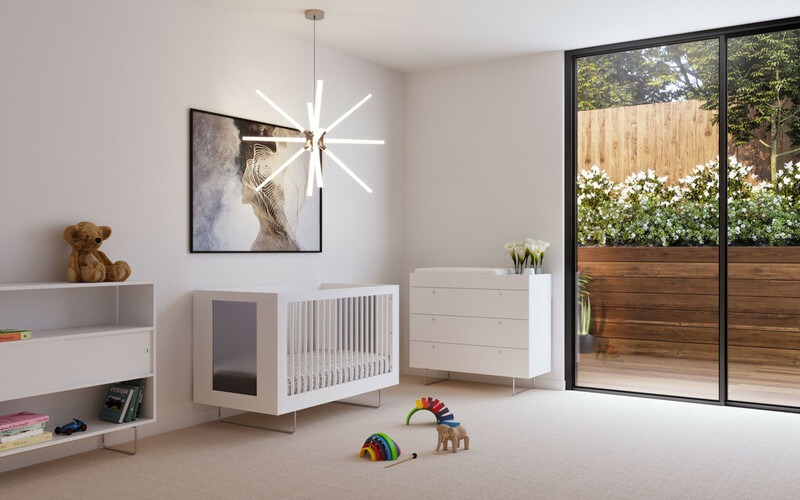 The Alto Collection includes a crib, dresser, changing tray, bookshelf and credenza.